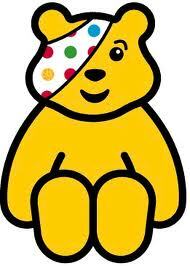 What is ‘Children in Need’? 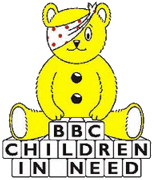 BBC Children in Need is the BBC’s UK corporate charity. Thanks to the support of the public, they are able to make a real difference to the lives of children all across the UK. Their website says that they have a vision that ‘Every child in the UK has a childhood which is safe, happy, secure and allows them the chance to reach their potential. We provide grants to projects in the UK which focus on children and young people who are disadvantaged”. Amazingly, in November 2012, the BBC’s annual ‘Children in Need’ show raised a record on-the-night total of £26,332,334 – £8m more than 2010. I wonder how much they will raise tonight? 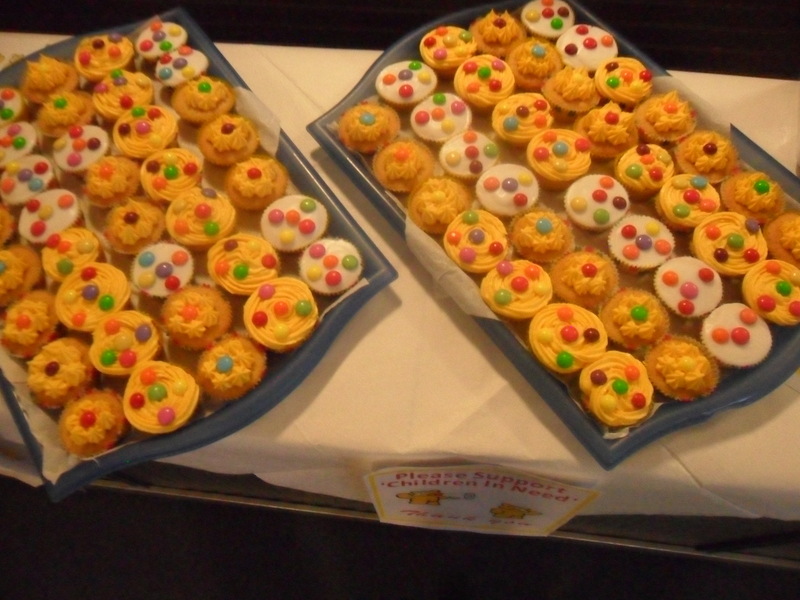 Yesterday, I decorated 85 cup cakes to raise money for BBC Children in Need. My husband took them to his place of work today asking for a donation for each cake. I was very lucky, as I had cooked the cakes last weekend and put them into my freezer. This was to save me a bit of time this week and obviously as my oven broke it was very very lucky I did this or I would have had to cancel the sale. After taking the cakes out of the freezer, I just needed to defrost and decorate them. To make the cup cakes I used the ‘Throw it all in’ recipe for sponge cakes that I wrote about here. I half-filled the cake cases with mixture and cooked them at gas Mark 5 for 15-20 minutes. 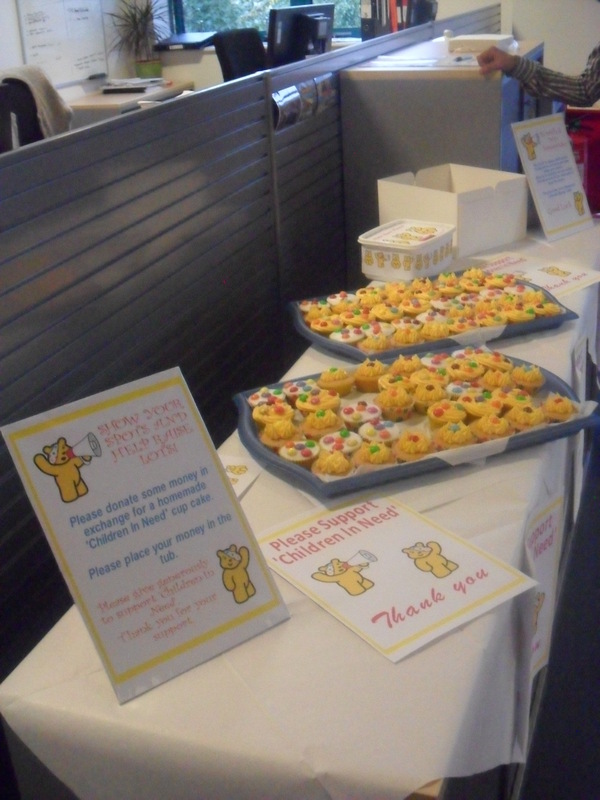 So yesterday I had a lovely time decorating the cakes in the colours of ‘Pudsey Bear’, the BBC ‘Children in Need’ mascot. I used the recipe below to make the buttercream frosting and used an ‘icing colouring’ to colour it. 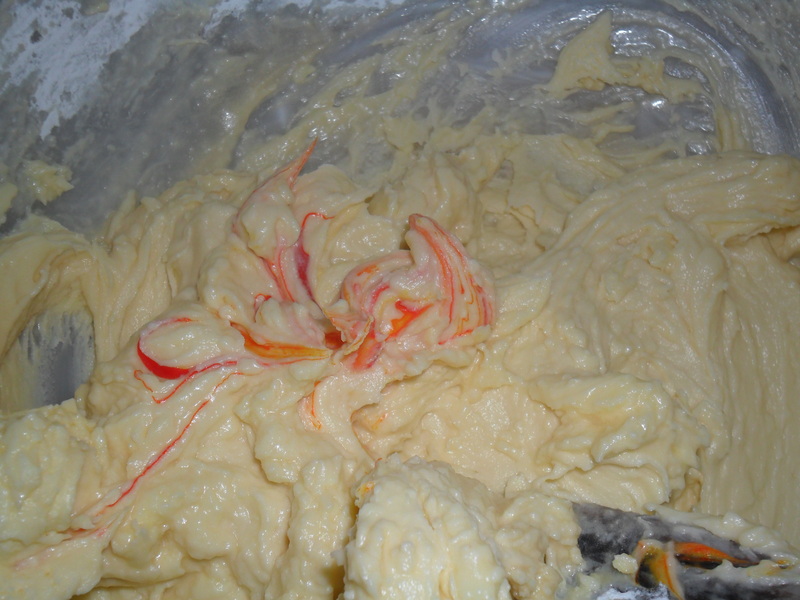 Icing Colourings are much better for colouring buttercreams and sponges as they give a much stronger colour than a normal food colouring would. 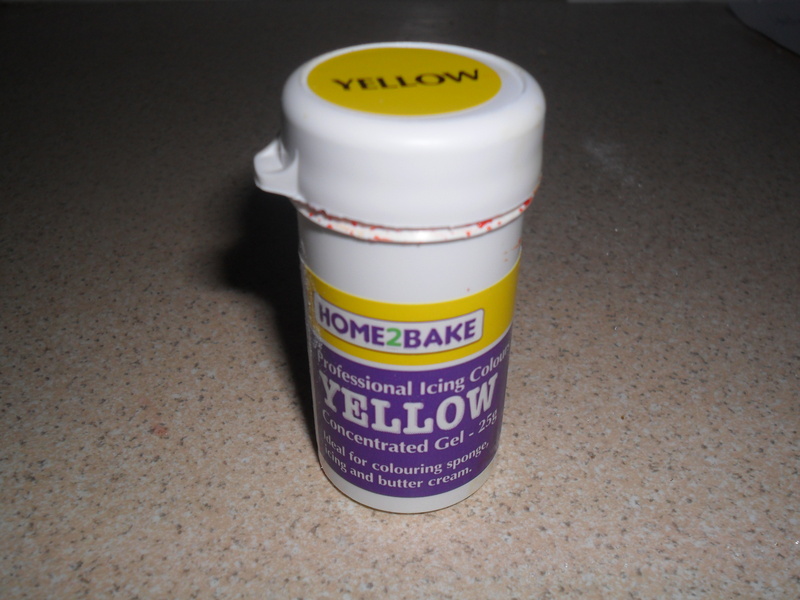 I brought the yellow sugar paste from Asda, which are on offer at the moment at ‘2 for £3’. You can also buy the colourings from cake decorating shops, but they are usually a little bit more expensive. The colourings last for ages after you have opened them and are great for all sorts of cakes too. 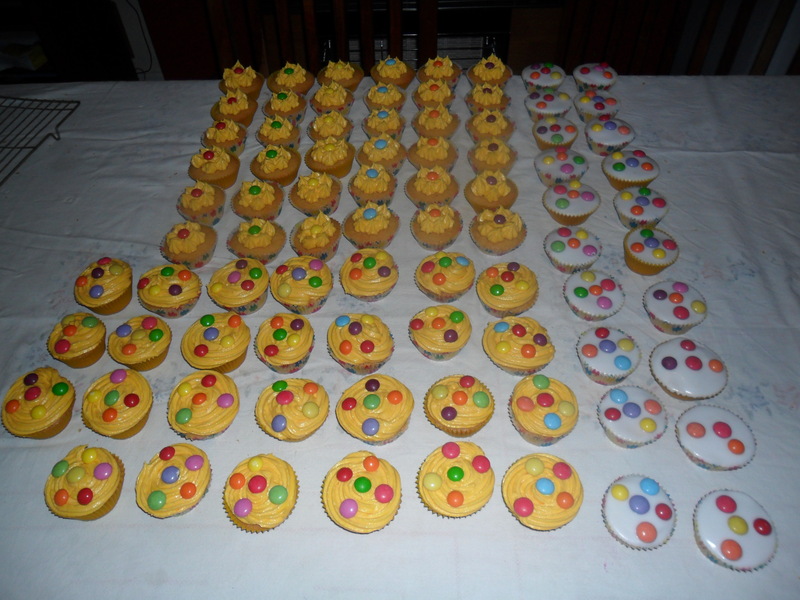 I piped the yellow buttercream frosting on to the cakes and decorated them with sweets. 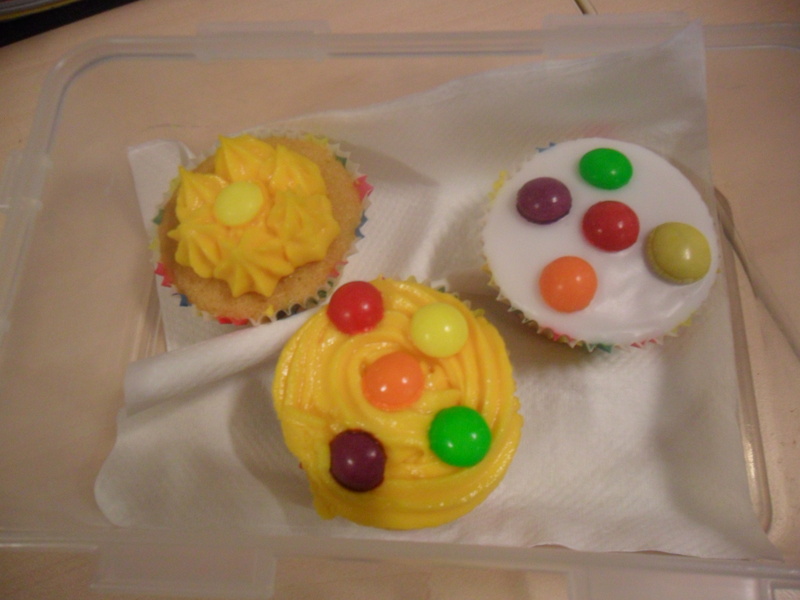 I also decorated a few cakes with plain white icing and sweets to give a bit of a contrast in colour. I sent my husband off to work with my cakes and posters and prayed that he would set the table up nicely so people would want to take a cup cake away and to donate to the charity in return. I think he did a good job, as you can see in the photo below. 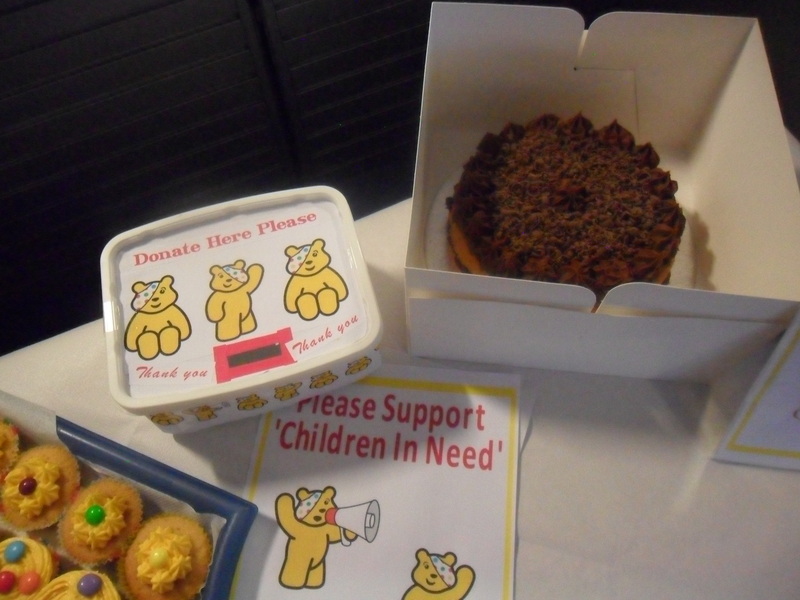 We also had a sweepstake, where people guessed which activity ‘Pudsey’ was doing. There were various different actvities that could be chosen and the answer was hidden away. 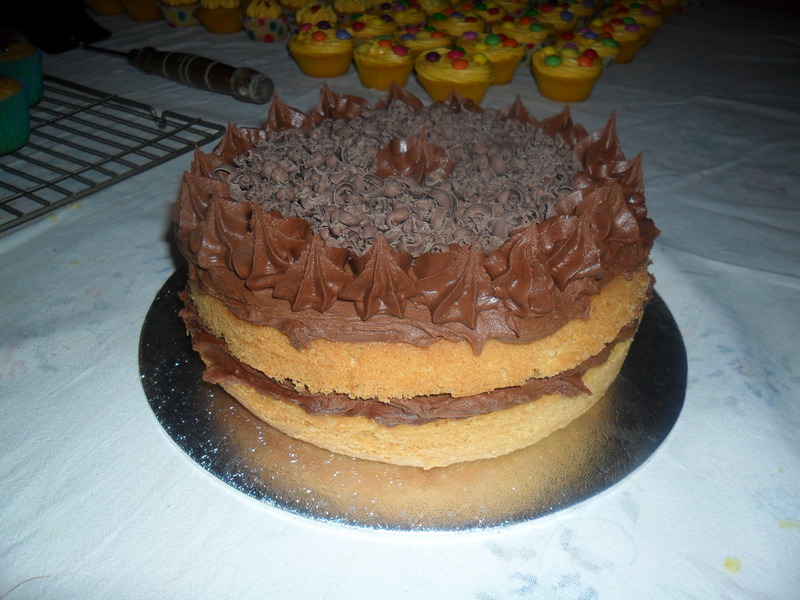 The winner won a luxury chocolate cake that I also made (again I luckily pre-made the cake sponges and froze them before my cooker broke). I put the decorated cake on a cake board and boxed it ready for someone to take home, I hope they enjoy it. I am totally amazed as altogether we raised £115.12! We are both very pleased with this amount. How to make a Buttercream Frosting and how to to pipe it on to a cake. The expensive cup cakes that people sell at food shows and craft fairs aren’t really that hard to make and are much cheaper to make yourself. If you have anyone that is dairy or lactose intolerant in your family, the recipe for the buttercream frosting below, is also easy to convert to a dairy free buttercream frosting, just by replacing the butter with ‘Pure’ Margarine and replacing the milk with soya milk and it tastes just as good. Also, don’t be scared of piping the icing on the cake, as this is really easy too (though the experts make you believe it isn’t because they want you to pay their ridiculous prices). All you need is a piping bag and a wide nozzle. Have a practice on a piece of greaseproof paper first and then you can reuse the buttercream afterwards on your cakes. 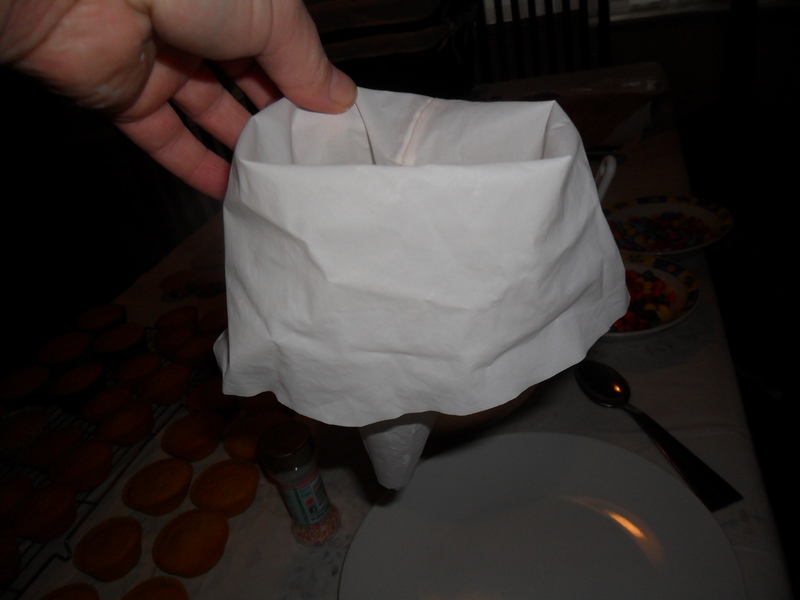 Here is a link to a short demonstration that shows how to pipe frosting onto cup cakes. 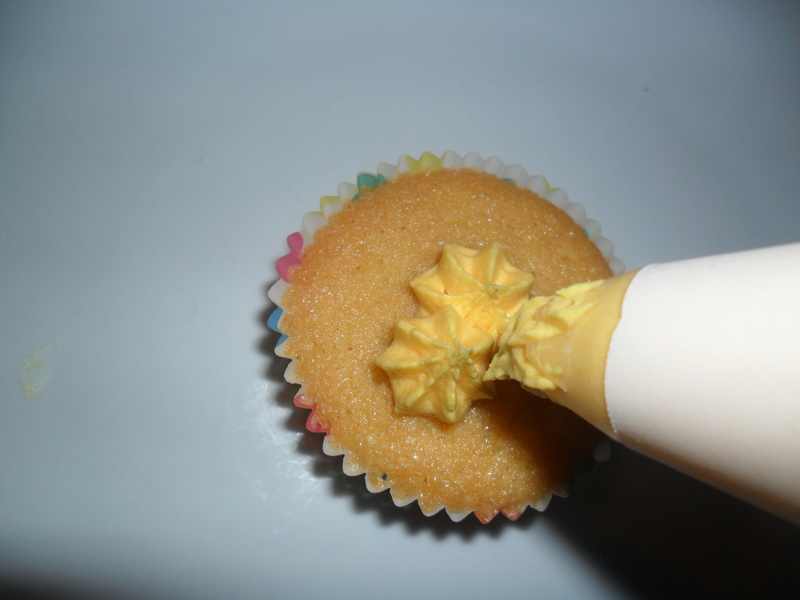 I use the piping bag and nozzle in the above photograph, it cost me approximately £4 to buy and I wash and reuse it over and over again and it gives a good professional finish. You will impress your friends by decorating your cakes this way. 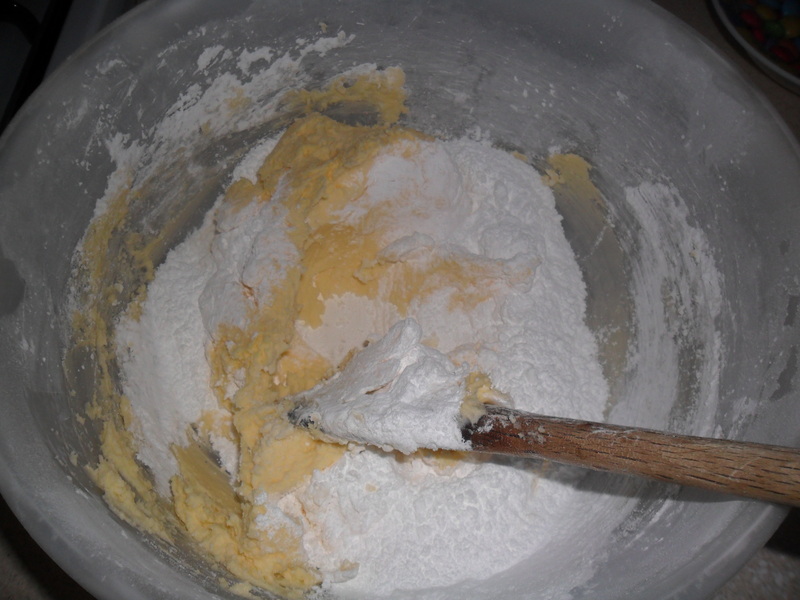 Cream the butter and icing sugar together. Add the vanilla extract and milk and beat it until it is light and fluffy. Add a tiny, tiny bit of your colouring and beat until fully combined. Add more if you want a deeper colour, but only add a tiny, tiny bit at a time. If your mixture is too stiff, add a little bit more milk. If it’s too runny, add a little bit more icing sugar. This butercream frosting does actually freeze nicely if you have any left over. 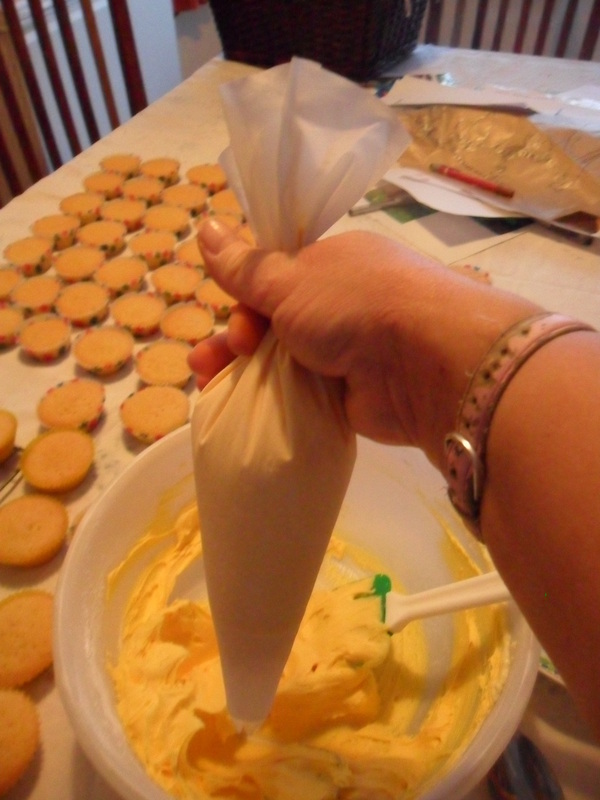 Put the mixture into your piping bag by firstly putting the nozzle in the bottom of your bag and folding down the bag ready. 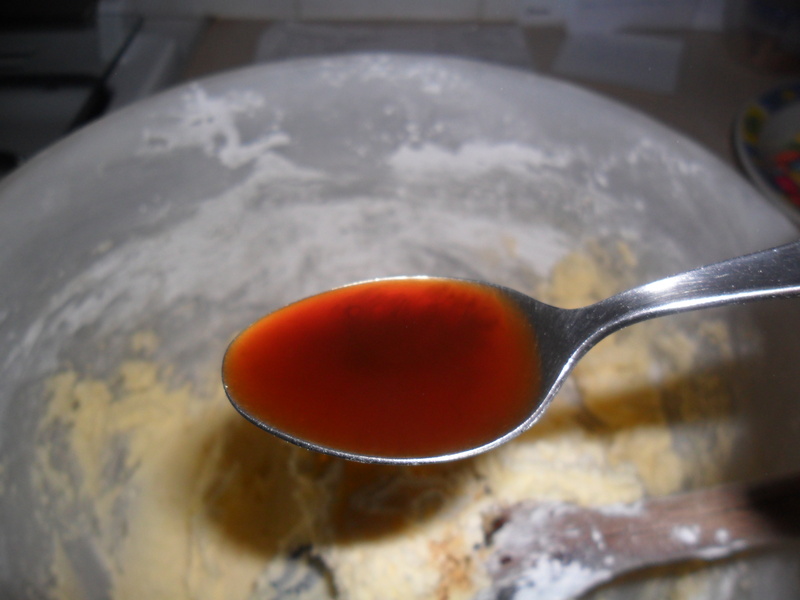 Spoon the mixture into the bag, but don’t over fill. 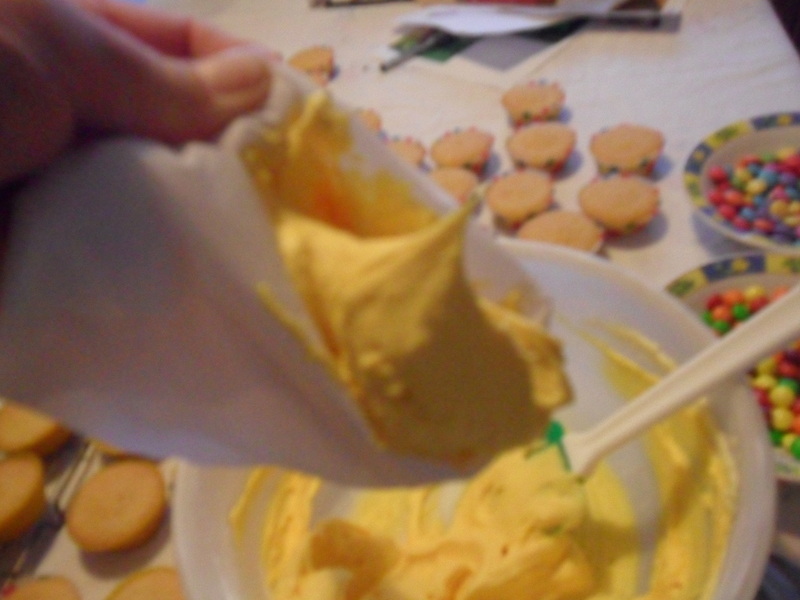 Twist the top of your bag so the frosting goes to the bottom. 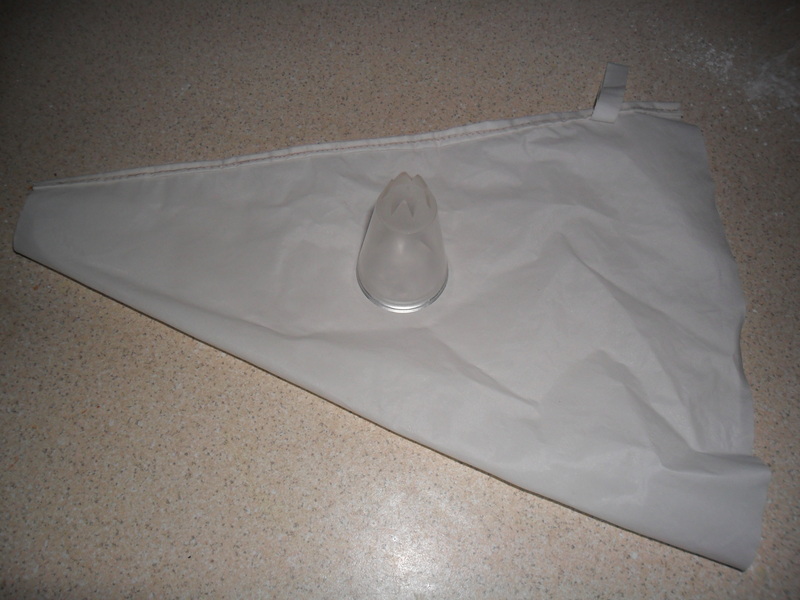 You are ready to pipe, by squeezing the bag so the mixture comes out.